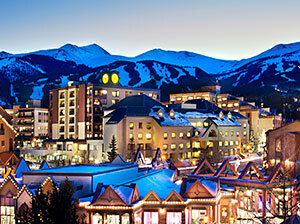 Breckenridge is consistently ranked in the TOP 10 SKI RESORTS in North America. With multiple mountains, including about 50% of the trails devoted to beginner /intermediate skiers that are groomed nightly, it’s easy to see why skiers flock to the Breck! 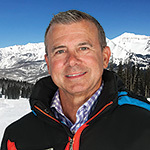 As a result, Breckenridge has benefitted from numerous projects over the last several years, including yet another high speed 6 six pack lift last season. The laid back village has an annual 300” of snowfall and 300 days of true blue sunshine. 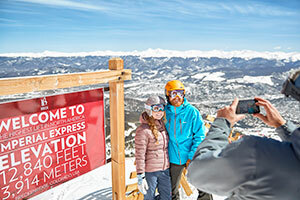 For variety, our discounted group lift tickets are honored at Keystone, Vail, and Beaver Creek, accessible via shuttle service. We plan to go as a group to ski at Keystone at least one day during our week at Breck. We will offer discounted rentals as well. This is one of the club's most popular destinations – and with very seasoned leaders, Joe and Jason, you know you are in great hands. Come ski with us at Breck and let us do all the planning for you. Over the past 150 years plus, the spirit of the town hasn’t shifted much. All new projects at Breck are a reflection of Breck’s rich heritage of equal parts outcast and visionary, frontier and fine living. Breckies around the world are passionate about spending days or years in “Breck” because of the history, heritage and characters that have made this Victorian mining town what it is today and why visitors and locals agree it is the Perfect Mountain Town ™. Every person who purchases a 5 day lift ticket also receives a daily lunch voucher. Get the details from us! 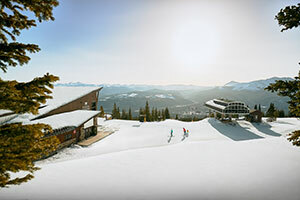 Approximately two hours’ drive from either Denver International (DEN) or Colorado Springs Regional (COS) airport, the resort sits at the base of Peak 9 at the Breckenridge Ski Resort, one block from Main Street. This is a ski in, ski out property, within walking distance to the town’s shopping, dining and entertainment amenities. 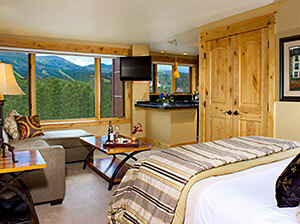 No other property in all of Breckenridge has the unique combination of access to both the town and the mountain! Originally built in the early 80’s and completely renovated in 2010, the Village consists of five buildings surrounding a central plaza with 235 privately owned condominium units, ranging from studios to four bedrooms. Village amenities include an indoor/outdoor pool, hot tubs, sauna and steam room, fitness center. Also features an onsite restaurant, pub, ski and snowboard rental shops, ski and ride facilities, children’s museum and medical clinic. 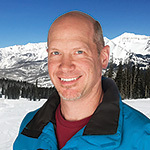 In addition to skiing and snowboarding, Village guests can enjoy cross country skiing, snowmobiling, snowshoeing, tubing, ice skating, dog sledding and sleigh rides. Roughly 30% of the terrain is groomed daily!!!! 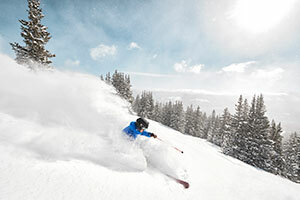 Lift tickets are interchangeable with Breckenridge, Keystone, Vail and Beaver Creek. Transportation to Keystone is a free shuttle, and other resorts are accessible through Fresh Tracks for a fee. Resort Only amount: Deduct $376 per person. 2BR Condo with bedding choice – must reserve early. Airfare from Tampa to Denver. Bus transfers, seven (7) nights lodging at the Village Resort, applicable taxes, welcome reception party, Après Skis, final banquet party and lots of FUN!! All cancellations must be received in writing by January 1, 2018. See cancellation policy on the back of the trip application. Make checks payable to "TAMPA BAY SNOW SKIERS and BOARDERS" and mail to: Joe Bayliss, 4141 Central Avenue, St. Petersburg, FL 33713.